In 1776 when the United States was declaring its independence from England, Juan Jos� Hinojosa was requesting a land grant here from the Spanish Crown. 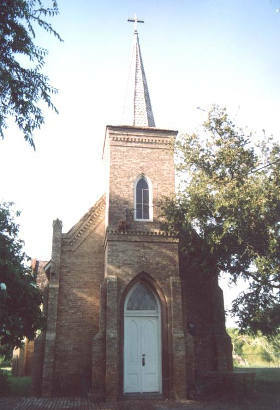 Fourteen years later (1790) the grant was approved as part of the Llano Grande grant. 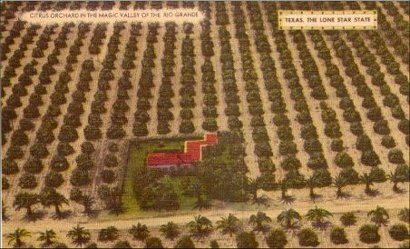 Throughout the entire 19th Century, the land around modern-day Progreso was occupied by small ranches and family farms. The largest spread was Toluca Ranch in 1880 and a post office was requested under the name Toluca. But for whatever reason, postal authorities issued the name Progreso. The office operated under that name from 1901 through 1916. In 1903 developers bought the former ranches and started subdividing the land. A nucleus developed two miles NW of the post office and they appropriated the name. Sugarcane became an important regional crop and in 1920 over 6,000 acres (including the fledgling Progreso and Progreso Lakes) was sold to become a vast sugarcane plantation. During the progressive 20s, the San Benito and Rio Grande Valley Railroad arrived - installing a short-lived mission-style depot (closed 1931). After a 1925 freeze killed the cane crop, it was decided that citrus might be more resistant to cold weather. 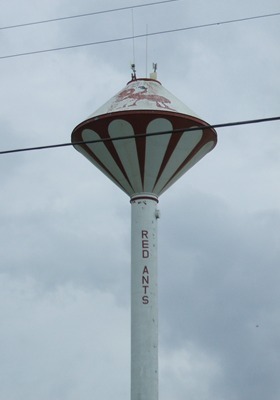 The town was platted by the Progreso Development Company in 1927. The 1929 stock market crash, followed by a hurricane in 1933 that sent the region into a downward economic spiral. Things got better but a postwar freeze in 1949 followed closely by a second freeze in 1951 made growers return to raising cane. Earlier population figures aren't available but as recent as 1940, Progresso only had 100 citizens. By the mid-1950s it had more than doubled to 220. It was estimated at a mere 185 in 1989, but mysteriously jumped to nearly 2,000 for the 1990 Census. A new bridge across the Rio Grande helped bolster the population and by 2000, it had swelled to 3,500, increasing to 4,851 (the figure given on the 2007 state map). Land in this area was part of a Spanish land grant requested by Juan Jose Hinojosa in 1776 and awarded posthumously in 1790. 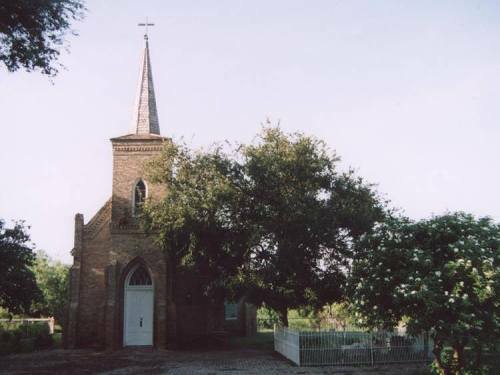 Hinojosa had occupied the land and used it for livestock pasture since 1766. In 1896 ranchers in the area obtained a U.S. post office under the name Progreso. Soon thereafter commercial farming interests began large scale operations in growing sugar cane and, later, citrus groves. The Progreso Development Company platted the townsite in 1927. The town continued a steady period of growth, and citizens voted for incorporation in 1991. 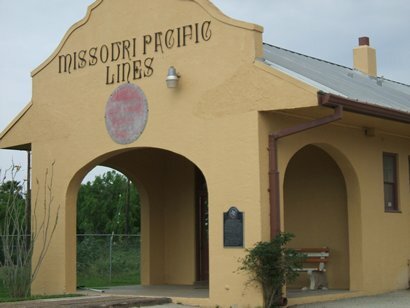 "The old depot which was once a stop on the historic Spiderweb Railroad. The depot was restored about 10 years ago and is now a business of some sort." 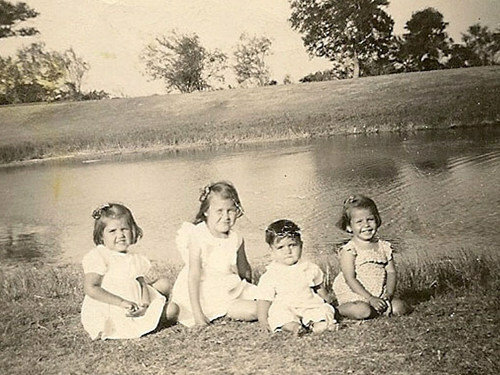 "Reyna kids, left to right are Guadalupe, Angelica, Severo Jr., and Alicia. "